Again this year, we had the pleasure of attending the National Police Federation Conference in Bournemouth. It was a great opportunity to meet existing members, gain new members and advise people on our products. 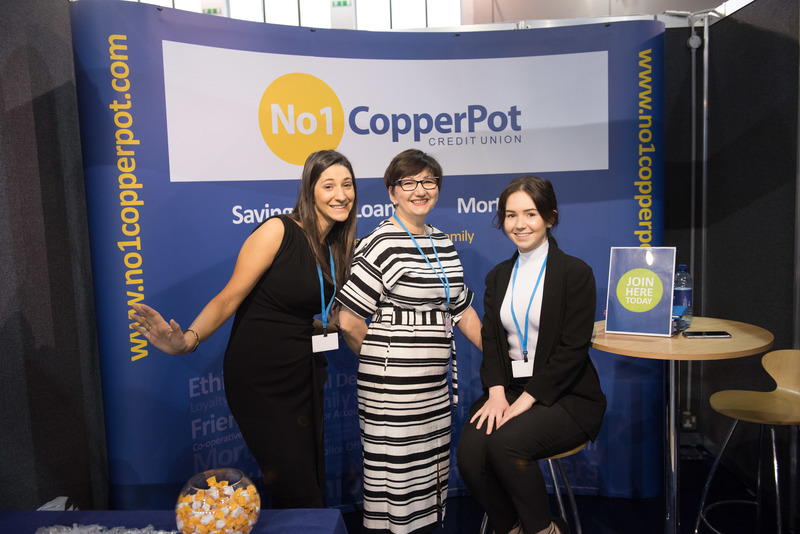 This year, three members of the No1 CopperPot Credit Union team attended, including CEO – Caroline Domanski, Business Development Manager – Debbie Brown and Marketing Officer – Jo McGrann. Engaging in conversation with the Federation Reps each year is always important to us, as it gives us an opportunity to remind them of our services and our ethos. One of the most important messages we aim to share at conference is that the credit union can help members with their finances. When people are dealing with financial stress, it can impact upon their work life. We want to let people know that if they are under financial stress and come to us, we will always try to help. The credit union is here to support the everyday financial challenges faced by families and individuals. Each month we help thousands of members, and our vision is to make the credit union services available to many more of the Police family across the UK. For those who missed us this year at conference, make sure you come over to see us next year… if not before!